Sauce sat down with Rae Holland in her beautiful shop overlooking a courtyard in the Heart of the Country Shopping Village at Swinfen. She shared her inspiration for founding the Lichfield Tea Company. “It was a hobby that turned into an obsession that took over my house, so we had to get a shop. It was something I used to do with my nan, who was Italian. In Italy they only drink coffee – they don’t drink tea at all. If you’re ill, you get chamomile. Rae’s grandparents owned an old-fashioned newsagents and all-stores in Coventry when she was a child. Her grandma started importing tea for her to taste and to sell in the shop. In 2016, tired of working 24 hours a day, 7 days a week in a stressful job, Rae and her husband Ollie decided to slow down a little and opened their first shop on the other side of Heart of the Country site. They moved into a larger unit when they outgrew the first premises, and have now expanded floorspace further by knocking through into the neighbouring shop. They have installed a kitchen and will soon be serving ‘hearty, homely, vegetarian food’, cooked by Rae herself. 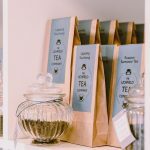 In terms of teas and the various coffees Lichfield Tea Company offers, choosing what to stock is largely a matter of personal taste with some family input and, of course, an eye to what customers will think. English Breakfast is by far the most popular choice. 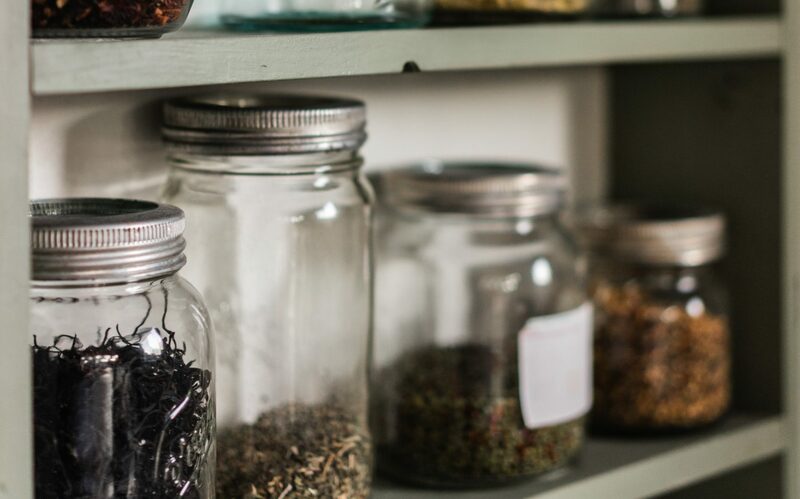 Naturally, visitors to the shop tend to be blinded by the sheer number of options with around 80 teas in stock on Rae’s shelves at any given time. Rae’s seasonal picks for March, April and May start with the aptly named Spring Tea, a fresh and floral green tea with strawberry and rose. If you’re looking to push beyond your comfort zone and try something unique, Rae recommends Pu-Erh – a real tea lover’s tea. Interestingly, the recent resurgence of interest in tea after years of growth in coffee seems to be driven by a younger generation, with new brands like T2 and familiar names like Whittard benefiting from the attention. 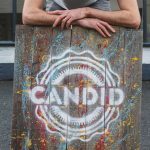 Following on from last month’s instalment, I thought I’d focus on breweries that have meant a lot to me over the years – people who have become firm friends as well as brewing the beers I love and can trust to deliver. Torrside brew in New Mills up in the High Peak. It’s a democratic set-up between 3 experienced home-brewers – Chris, Nick, and Peter – with support from their long-suffering partners, one of whom is the talented artist who designs the labels for each beer. The guys started out with the mindset of wanting to brew what they loved to drink, and this is reflected in their smoked beers, imperial strength monsters, and well-balanced hop-bombs. With that in mind, I’ve sneaked in two beers for one here. Part of a two-way collaboration with Bramhall’s Made Of Stone. A simple, crisp malt base allows Mosaic and Chinook hops to come shining through in the aroma. With plenty of grapefruit and mango flavours, Zenkai is a delicious session pale ale perfect for the changing season. Grodziskie is a traditional Polish beer style brewed using 100% oak-smoked wheat, and Sto Lat stays as true to the style as possible. Ultra-pale with plenty of fizz, it owes its refreshing bitterness to Polish hops. The smoke comes through particularly well in such a low ABV beer, with an end result lying somewhere in the unexplored hinterland between champagne and smoked ham! 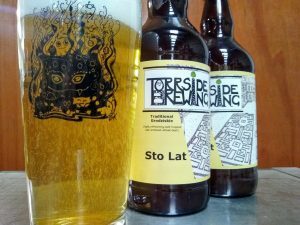 Head Brewer Chris thinks this beer perfectly represents Torrside; I think it will also appeal to the flavour loving readers of Sauce. I’ve followed Northern Monk from long before their first brew. Back even before current head brewer Brian’s mammoth, year-long training journey with some of the world’s finest brewers across multiple continents, we have a long history and friendship. The Northern Monk Patrons Project is an initiative set up to foster collaboration, creativity and community between artists, athletes and creatives across the North. This is their latest release, which features peel-able label art from amazing street-style artist Tank Petrol. Simcoe hops feature prominently in this beer, bringing passionfruit, grapefruit and dank pine to the forefront. It carries tangerine notes of Amarillo, the tropical flavours of Citra and Mosaic and finally a touch of floral, citrus Loral. A high percentage of flaked oats in the grist, plus a touch of wheat, ensure a soft mouthfeel. Fermentation with their IPA yeast of choice leaves an accentuating sweetness with generous peach and apricot esters. Our final beer is from Durham Brewery and is a bit of a beast. 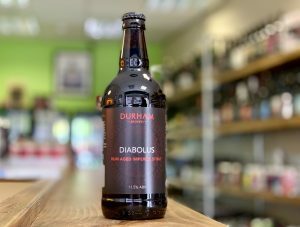 Durham have been at this brewing malarkey for a long time, so they know a thing or two about good beer. I was first introduced to them around 2010 and was immediately hooked by their mastery of tradition and willingness to embrace innovation. I helped launch their White Stout, a beer with the qualities and flavours you’d expect to find in something black as pitch, whilst being pale and transparent. I also built a Twitter-led international Imperial Stout tasting session around their beautiful Temptation Russian Imperial Stout, which leads perfectly onto the third beer: Diabolus, a variation on that brew. In a very limited edition of just 600 bottles, this batch of Diabolus – like all the others – is a variation on the theme of Temptation. Durham have matured the beer in oak rum casks, resulting in a deep dark colour with flavours to match. Aromas of rum and black treacle with hints of oak precede a body that’s creamy and full, with strong liquorice flavours. Sharp, fresh morello cherry and damson notes cutting through this rich umami body, and the finish is long and lingering. You can pick up April’s picks at Otter’s Tears this month, and find Phil’s March beer recommendations here. 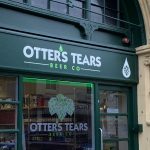 Otter’s Tears is an independent beacon calling out to beer lovers on Burslem’s high street. 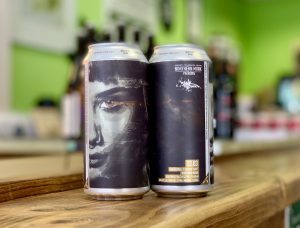 The bottle shop is owned and run by Phil Hardy, who opened it in 2015 with the goal of supplying customers with great quality, interesting beers from across the UK and the Continent. 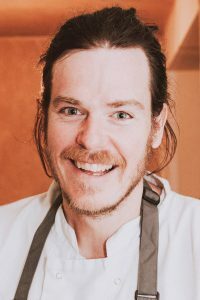 You can read the full story of Phil’s love affair with craft beer in the Spring 2019 edition of Sauce, out next week. Beer connoisseur Phil kindly put together these tasting notes on his top picks for what you should be drinking this March. Find these beers at Otter’s Tears while stocks last, and look out for more recommendations from some of Phil’s favourite breweries in April and May. I met Andy Parker, owner and head brewer at Elusive, around 2010. He was in IT back then, a beer blogger and keen home-brewer. Knowing my love of saison style beer, he sent me a bottle of this to try long before he ever brewed it commercially at Weird Beard and now at his own brewery in Finchampstead. It blew me away then and still does today. Lord Nelson is a single-hopped saison designed to showcase the wonderfully aromatic Nelson Sauvin hop from New Zealand. Expect a pale and hazy beer with aromas and flavours of Sauvignon Blanc grapes and gooseberries from the hop, with bubblegum notes brought into the mix by the saison yeast. Literally over the road from Elusive you can find Siren, joined for this brew by Manchester’s Track Brewing. The first thing that hits you as you take a sip is a tang of sharp strawberry purée, quickly enveloped by dark chocolate and roasted hazelnuts. This is a robust but smooth and creamy stout, subtly sweet with a hint of strawberry syrup. It slips down like a chocolate and strawberry milkshake topped with toasted nuts. A full-flavoured treat! Cloudwater, established in 2014, took the world beer scene by storm. With a definite slant towards hazy hop-forward styles they quickly reached number two on the world brewing stage according to Ratebeer. 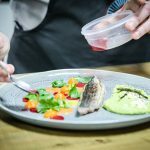 Burnt Mill are only a couple of years old, but are clearly going in the same direction – a definite one to watch. This collaborative India Pale Ale brewed at Burnt Mill’s Suffolk brewhouse is a proper juice-bomb. Soft sweetness gives way to pithy bitterness in perfect balance. Heavily hopped with a blend of Citra, Mosaic, Enigma and Idaho-7 for aromas of ripe peach and passionfruit. With tropical fruit flavours and aromas to match, this definitely deserves a space in your beer fridge.